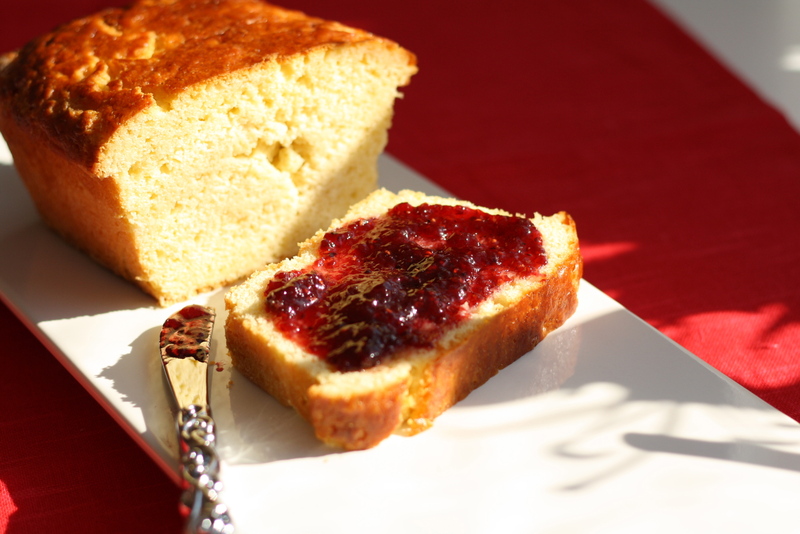 This decedent gluten free Brioche bread is not for the faint of heart – with more than a cup and a half of creamy butter and seven eggs, this rich bread is a divine treat for those with a taste for pure luxury. The egg and butter combination give this bread it’s rich and tender crumb and signature golden crust. It can be eaten with dessert or tea, but is also commonly used to accompany delicacies like foie gras, and pates. It’s also lovely when used in french toast. Combine warm water, yeast and one tablespoon of sugar together. Mix well and place in a warm spot for about 15 minutes, or until frothy. Sift together the flour, Xanthan gum and sugar together in a mixing bowl. Pour in the yeast mixture and mix with the dough hook for 2 to 3 minutes. The mixture will still be quite dry. With the mixer still running, add the eggs on at a time until you have a smooth dough. Mix for a few more minutes. Add the butter, cube by cube while the mixer continues to run. The dough will become glossy and start to pull away from the sides of the bowl. The dough will be quite sticky at this point. Cover the bowl with cling film and allow to prove in a warm, dark place for 3 hours, or until the dough as doubled in size. Knock back the dough onto a lightly gluten free flour dusted countertop and knead again with your hands and a bit more GF flour until the dough becomes manageable – careful not to add too much flour however, as you want to keep as much moisture as possible in the dough. 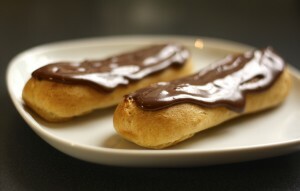 If using Brioche pans, divide the dough into two and place a ball in each lightly greased pan. If using a standard loaf pan, simply place the entire ball in the greased pan. In a small bowl, whisk together egg and sugar to form an egg glaze. With a pastry brush, brush the top of the loaf, being careful not to allow too much egg mixture to drip between the dough and the side of the pan as this can cause your bread to stick to the pan. Cover with lightly greased cling film and allow to rise again, for another two hours. The loaf should be doubled in size. Once again, carefully brush with egg wash one last time. Bake in a preheated oven at 180C or 350F for 25-30 minutes. The bread will be done when it turns golden brown and sounds hollow when tapped. Remove from oven and allow to cool on a cookie rack. This recipe was taken from World of Food Magazine and originally created by Hanna Mills, the Savoury Gluten Free Baker.